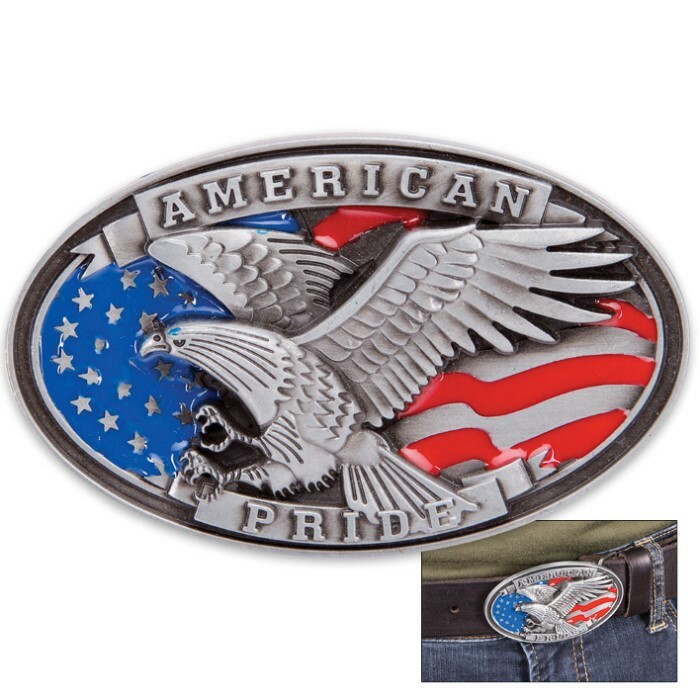 American Pride Belt Buckle | BUDK.com - Knives & Swords At The Lowest Prices! 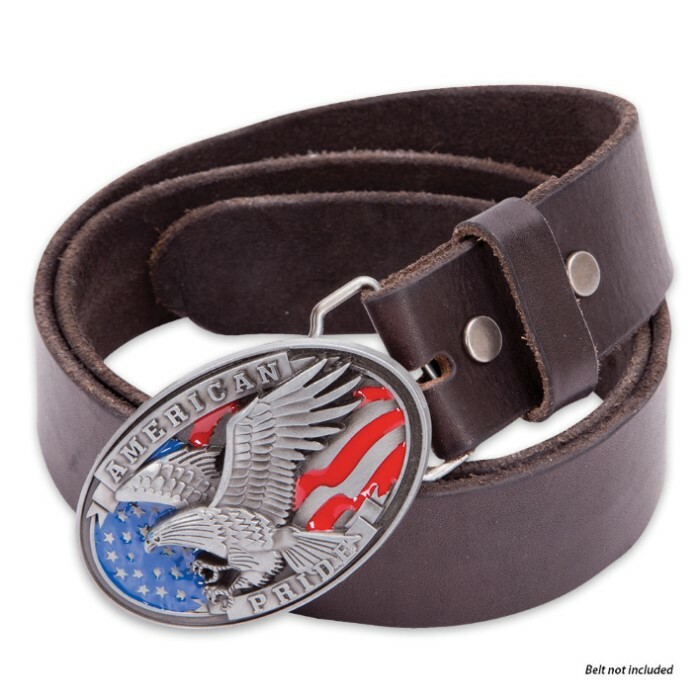 A striking tribute to the America Flag, you can wear this belt buckle with pride. The painted artwork is vibrant and highly-detailed. 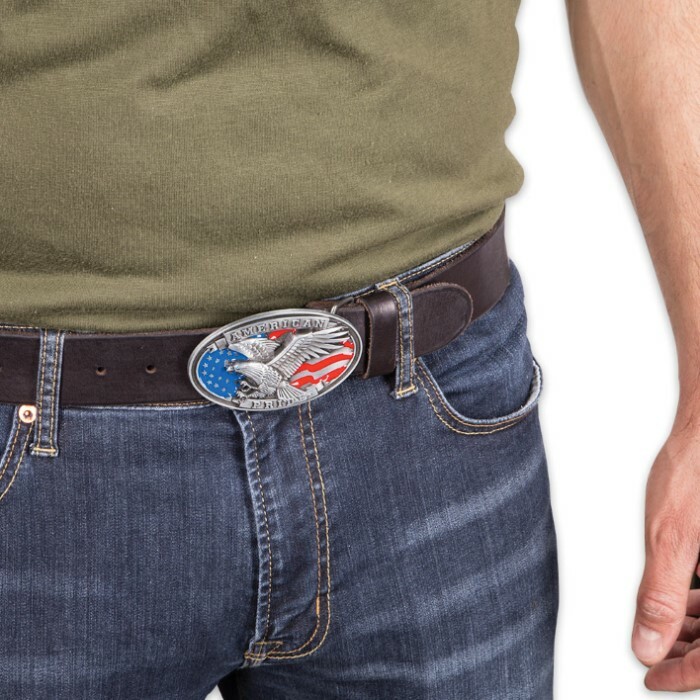 The buckle is constructed of a durable metal alloy with sturdy fittings. I bought several of these belt buckles for myself and to give as gifts. They are good looking and well made,plus the price is right.